A man was arrested on animal cruelty charges in Miami on Wednesday after riding his horse nearly 700 miles from his home in South Carolina to Key West, police said. 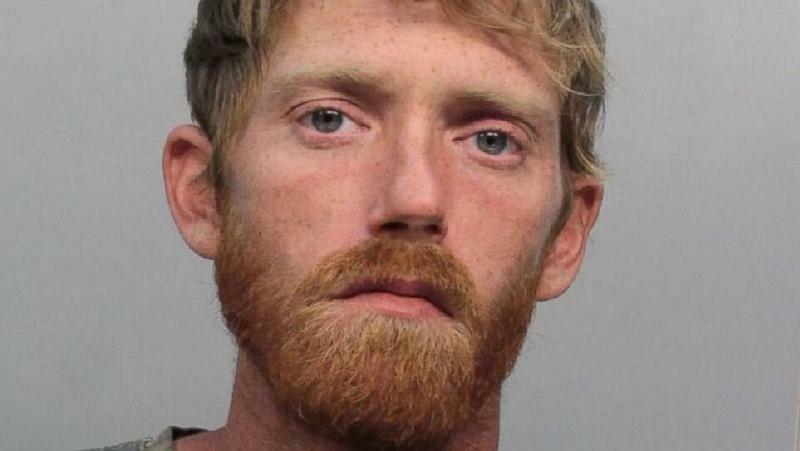 Christopher Emerson, 36, was arrested as he rode his horse, Trigger, on a busway in Miami, ABC affiliate WPLG reported. Emerson, who kicked off his journey to South Florida more than four months ago from Greenwood, S.C., said he had been going through a "rough patch with my wife, had a divorce, wrecked my truck," so he wanted a fresh start. But his mode of transport didn't sit well with passers-by along his journey, let alone Trigger. The South Florida SPCA received several calls from the public informing them that Trigger appeared in poor health. According to WPLG, Trigger was found with low body weight and low body fat. On a scale of 1-10, with 10 being almost obese, Trigger registered a 3. "The horse isn't in any condition to travel that far," SPCA spokeswoman Laurie Waggoner told WPLG. "He is almost completing lacking in subcutaneous body fat. He has very little muscle. You can see the skeletal structure. You can feel all of his ribs. You can see the individual vertebrae, his hip bones and all the bones on the horse. His back is very sensitive. He gets very mad if you touch it because it is very sensitive for him." Trigger is now at a horse farm in southwest Miami-Dade, where he is being evaluated. It's expected he'll remain there for several months. Emerson will have to go to court to try and get Trigger back.